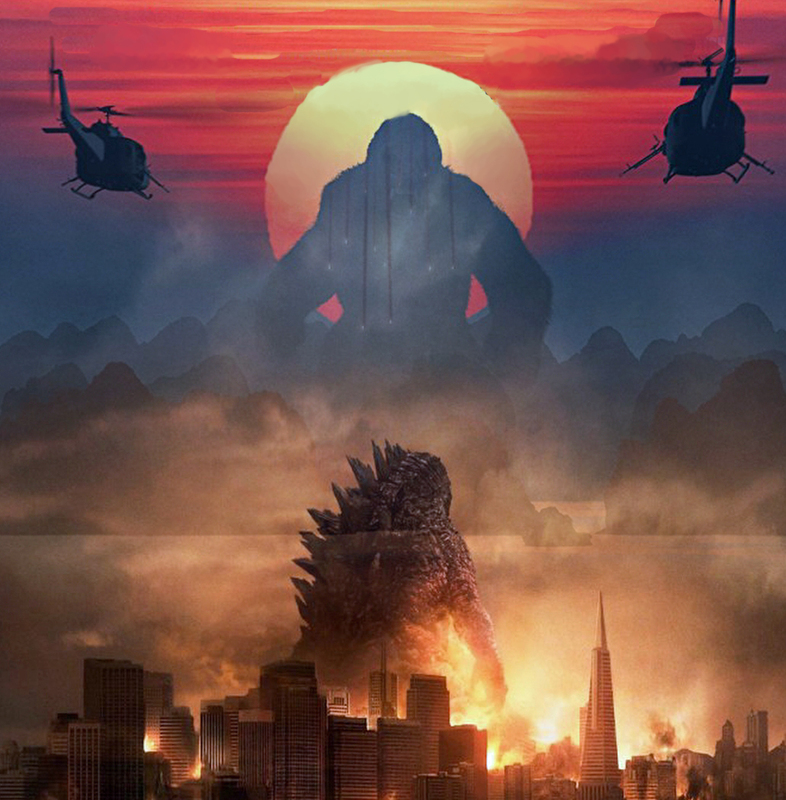 Beginning production this week, the epic action adventure will pit two of the greatest icons in motion picture history against one another – the fearsome Godzilla and the mighty Kong – with humanity caught in the balance. Godzilla vs. Kong is being directed by Blair Witch helmer Adam Wingard from a script written by Pirate of the Caribbean scribe Terry Rossio. . The film stars Alexander Skarsgård, Millie Bobby Brown, Rebecca Hall, Brian Tyree Henry, Shun Oguri, Eiza González, Jessica Henwick and Julian Dennison, with Kyle Chandler and Demián Bichir. Filming is taking place in Hawaii and Australia. A presentation of Warner Bros. Pictures and Legendary Entertainment, Godzilla vs. Kong is currently scheduled for release on May 22, 2020. Image - Not Official. We just merged posters from Godzilla & Kong: Skull Island. You're welcome.